We all know that it is beneficial for humans to exercise…so it would make sense that it’s the same for our canine companions. Here are five health benefits for our furry friends. 1. Helps with weight control. An overweight pet is not a healthy pet. 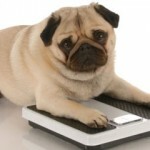 A dog that is at a healthy weight can live one or two years longer than a dog that is overweight. 2. It helps the digestive system. This can relieve any issues your pet may have with constipation. Many pets that don’t get enough exercise have issues with constipation. 3. No more destructive behavior. I think this is a big one!! No one wants a destructive pet. Boredom causes destructive behavior. Plain and simple. You will find that once you have your dog out walking that behavior will go away or will significantly diminish. If you aren’t able to walk your dog daily…consider hiring a dog walker. 4. They will get a chance to be out and about and socialize with the public. This doesn’t mean that they need to “meet and greet” every dog and person they see. It’s just a chance to be out and see and react to different things. As a dog walker, I don’t let the dogs that I care for interact directly with most dogs or people (for safety reasons) but they still get the chance to be dogs and sniff and see different things on each individual walk. It can also give dogs a boost of confidence. 5. It takes a lot of mental energy for your dog to go on a walk. You may think that they are just walking along but there are so many things that are encountered on a walk. A squirrel running across the sidewalk, a child playing in the yard or a dog barking across the road. This is a lot of work for a dog…resisting all of these temptations. Watching and listening to those things and also focusing on commands that you give him at the same time is a lot of mental energy for a dog. I cannot take credit for this quote…I read it somewhere but I would like to share it. “The way to a dog’s heart is through the walk.” I think this is so true. I have a very close relationship with all of my dogs that I walk and I think it’s because of this…because of the walk we share everyday. I have 2 cats so this doesn’t really apply to me so much in terms of walking them outdoors, but I do still think the overweight issue applies. Thanks for posting! Keeping Your Pet Warm In Winter Weather 5 Tips for Taking Care of Your Dogs Paws.